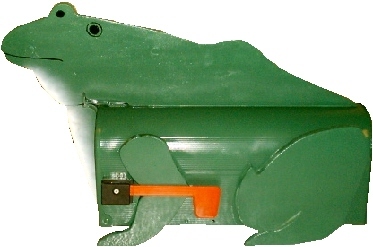 Please allow 6-26 weeks or more for your mailbox to be built and shipped. 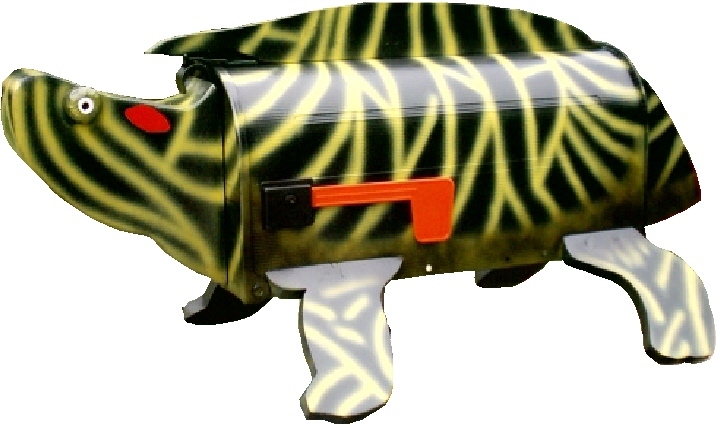 You have found our Wild Animal Mailboxes page. 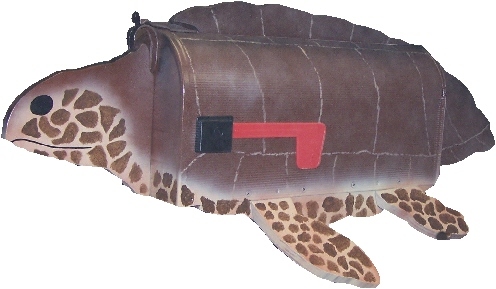 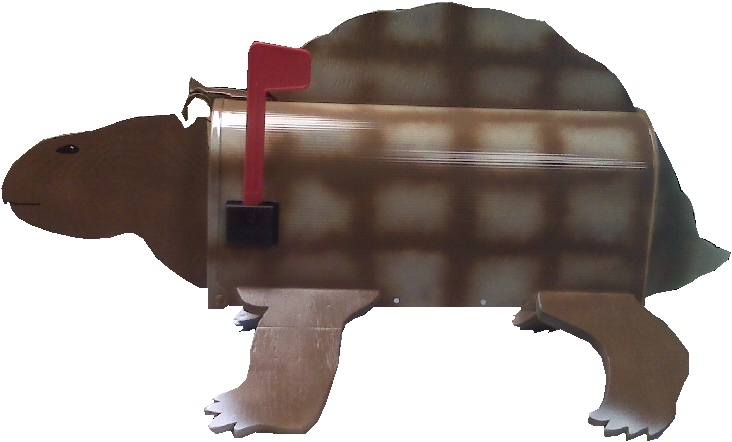 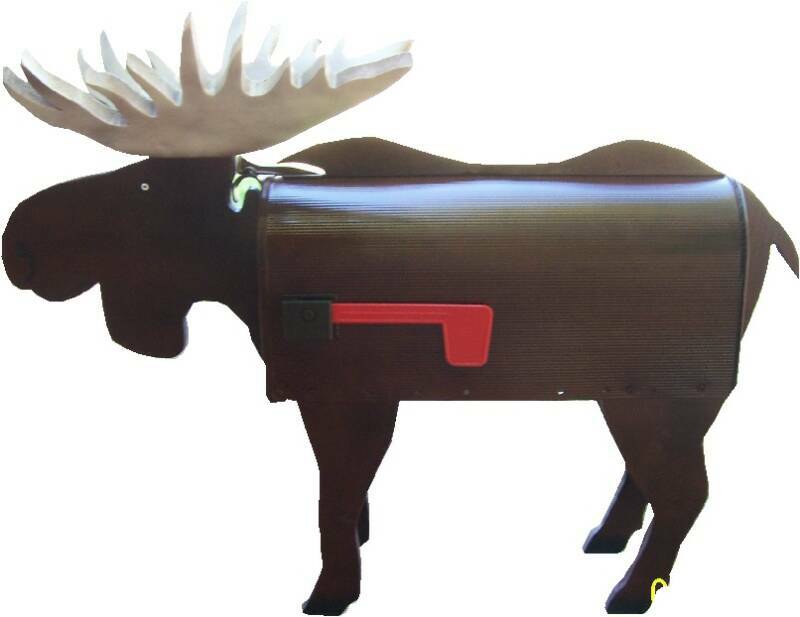 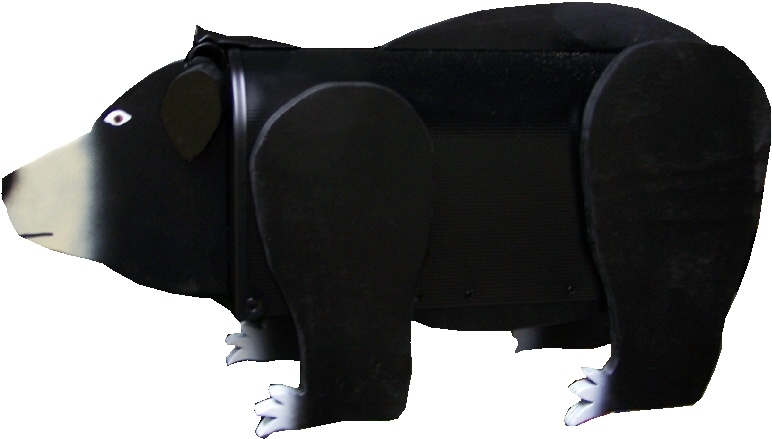 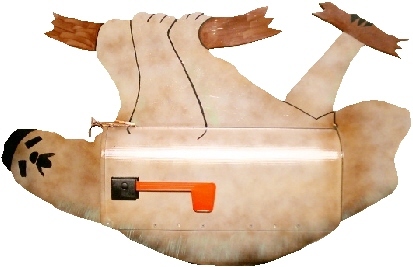 Here we offer top of the line mailboxes that are designed to put a smile on your face like the turtle mailbox, skunk mailbox or maybe the frog mailbox while keeping the realistic features of the animal it is designed to look like. 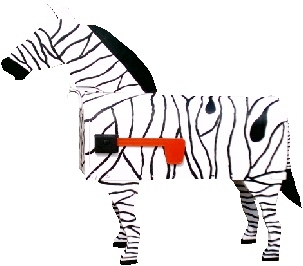 Our life like animal mailboxes are one of a kind and designed right here. 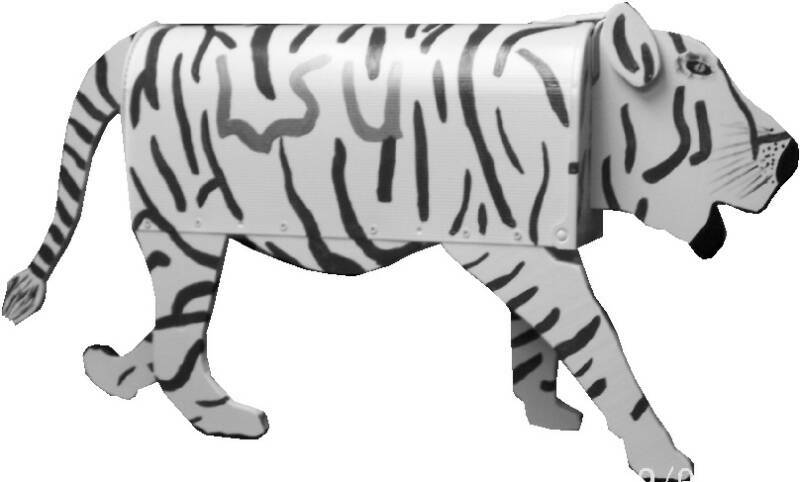 If you do not see your favorite animal then let us know and our designer will go to work and when finished will realistically look like your favorite animal, mammal or amphibian. 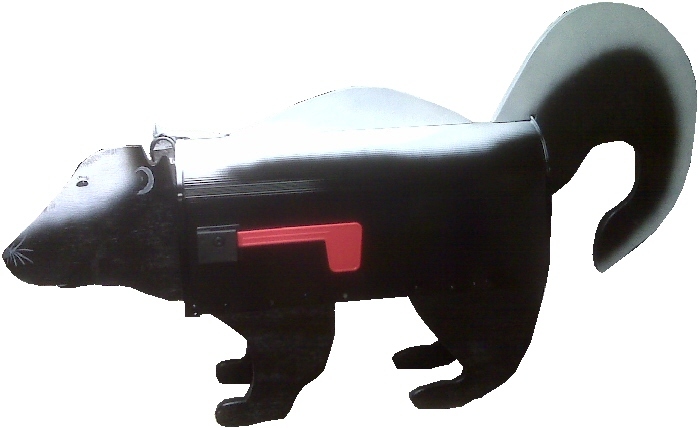 We are pretty wild about our animals around here just check out our coyote mailbox or even the bear, Zebra and pelican mailbox. 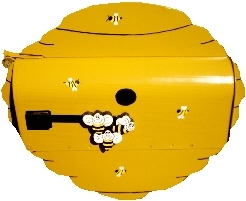 Whatever it is that you want we are sure to help you get it. 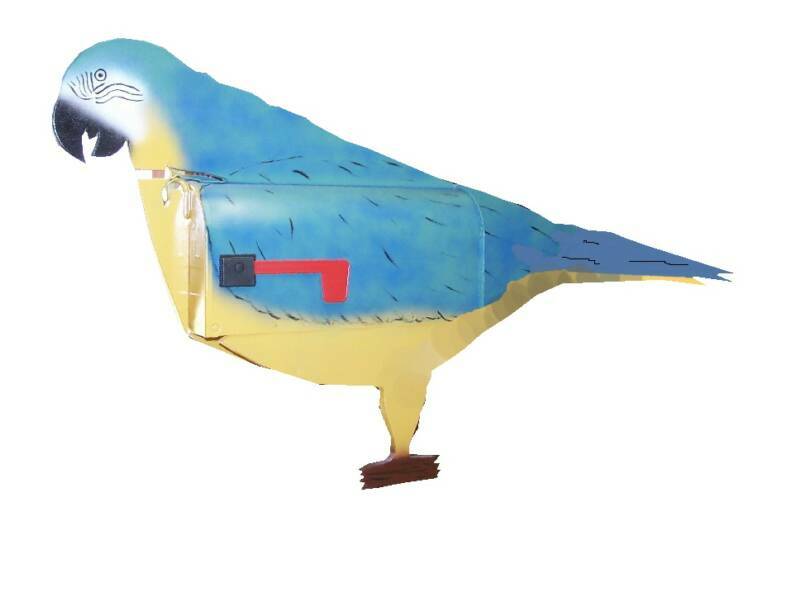 That is our promise. 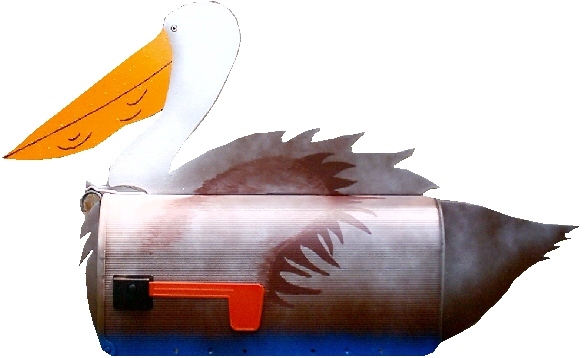 Just email or call. 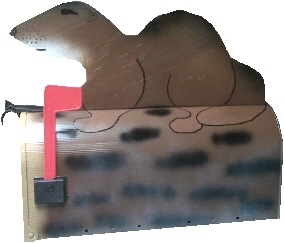 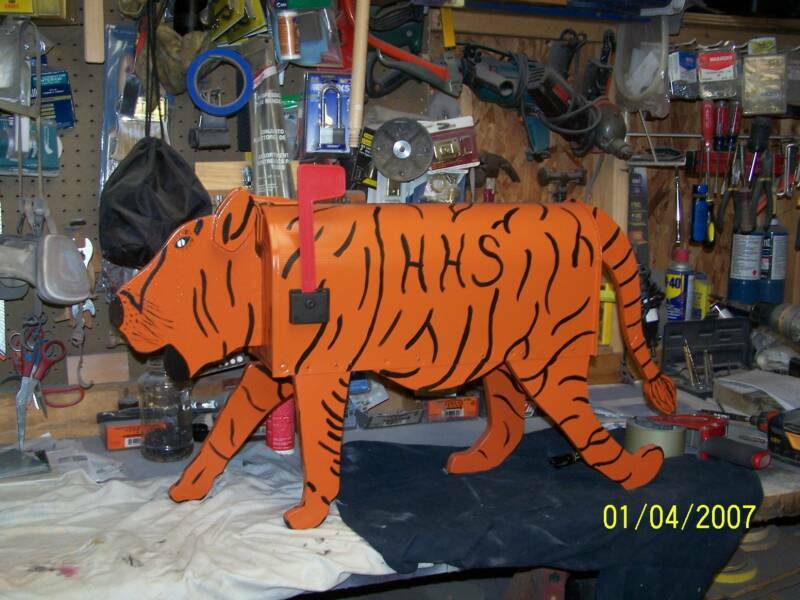 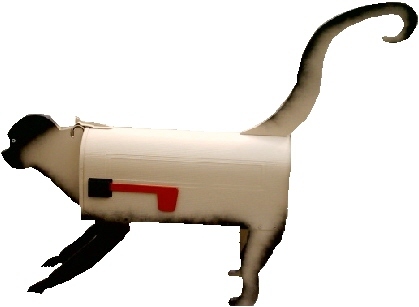 Now Offering Residential Hand painted mailboxes with any animal or setting painted on it. 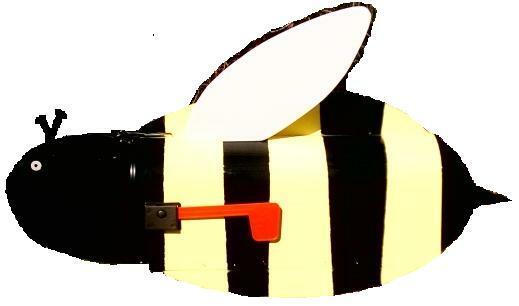 Click here or on any image below to visit the painted mailboxes page!!! 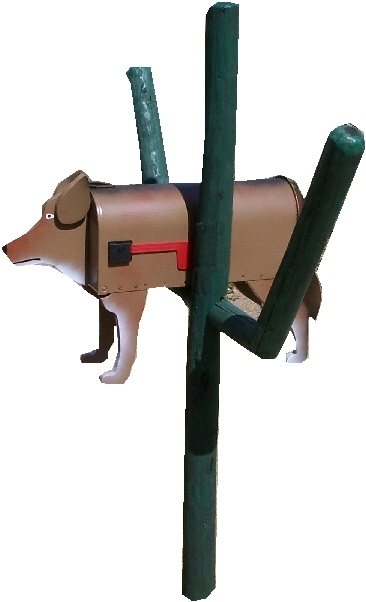 This mailbox was for a LSU fan. 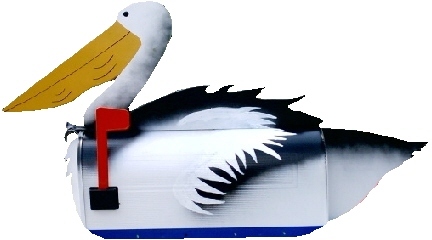 Your order will not have the LSU in the middle unless you request your initials in it. 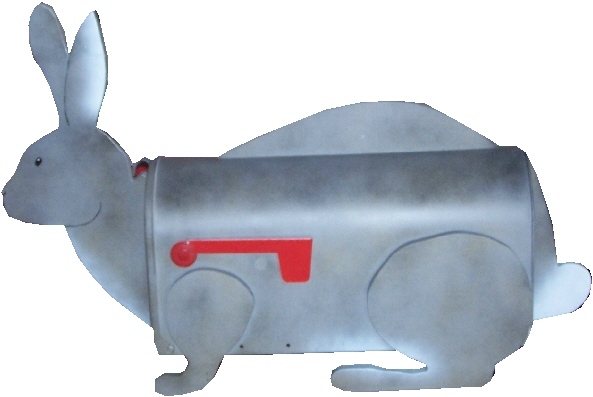 Shipping included on all Wild animal mailboxes anywhere in USA except Hawaii or Alaska. 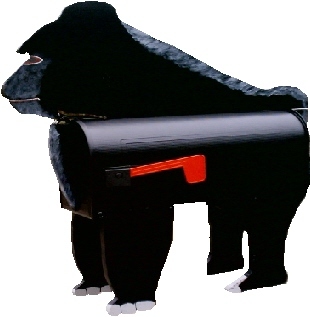 Email for quotes if outside the States or lower 48.